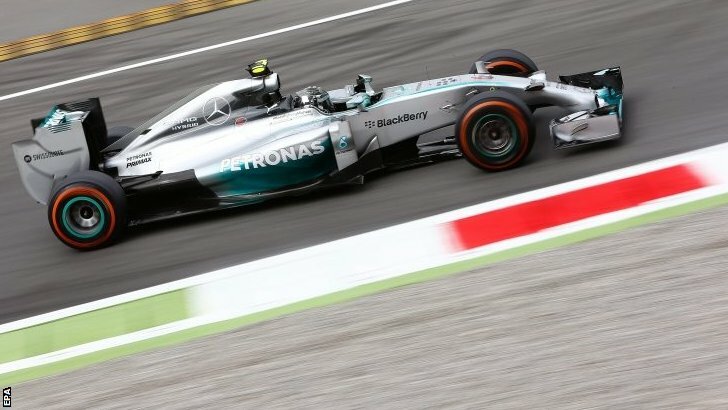 Home » Formula One: Hamilton and Rosberg fastest in Monza practice! 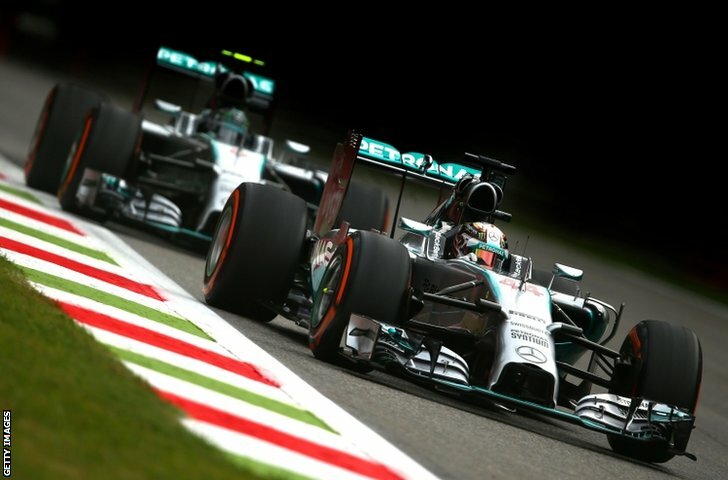 Lewis Hamilton and Nico Rosberg topped the two Friday practice sessions for the 2014 Italian Grand Prix at Monza. McLaren, Williams and Ferrari appeared to be the greatest competition for the Silver Arrows with speeds reaching up to 217mph on the fastest track in F1. Hamilton held a comfortable advantage of 6 tenths in practice 1 to take the fastest lap ahead of former team-mate Jenson Button for McLaren. Jenson had led for a majority of the session and managed to hold on to second ahead of the second Mercedes of Nico Rosberg in 3rd. Ferrari hero Fernando Alonso took 4th fastest ahead of Kevin Magnussen, who underlined McLaren’s potential in 5th. Sebastian Vettel and Kimi Raikkonen were 6th and 7th ahead of Sergio Perez for Force India. The Silverstone based team seemed to have a little trouble with the car on a few occasions and had to make a floor change to the Mexican’s car. Daniil Kvyat was 9th fastest for Toro Rosso; a car that was unquestionably the fastest in a straight line after reaching a high of 217mph. Nico Hulkenberg was 10th. Nico Rosberg took over the top spot in the second session after team-mate Lewis Hamilton was forced to sit out for an hour with an electrical problem. Hamilton did manage to set the second fastest time and was just a few thousandths shy after being held up on his fastest lap at the Ascari chicane. Both Ferrari cars showed promising pace in front of their fanatical home fans, with Raikkonen 3rd and Alonso 4th. Valtteri Bottas took 5th, half a second down on Rosberg, with Jenson Button remaining relatively strong in 6th. Sebastian Vettel took 7th fastest ahead of rookie Magnussen and Felipe Massa. Daniel Ricciardo recovered from an ERS problem in practice 1 to take 10th fastest. Both Force India’s were just outside of the top 10 ahead of Kvyat. Lotus seemed to be struggling massively during the session, with both Grosjean and Maldonado finding it hard to stay on the track at the Lesmo corners and the braking zones. Kamui Kobayashi returned to the track after being replaced by Andre Lotterer in Spa and Roberto Merhi in practice 1. He will remain in the seat for the rest of the weekend and finished the session ahead of team-mate Ericsson; as had Merhi in practice 1.